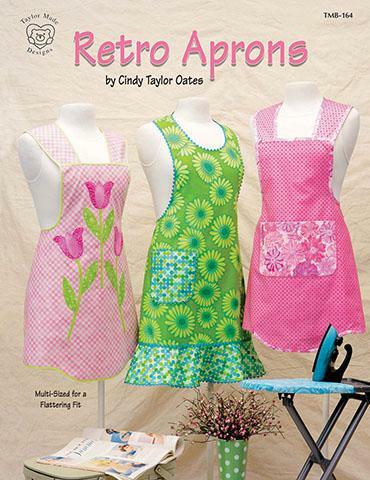 Cindy has used modern fabrics with retro shapes to showcase aprons that look fresh and colorful. But you may use "reproduction" fabrics for a more vintage look. Use your imagination...embroider, embellish and have a blast Patterns included.